There are a huge variety of options available when you’re choosing your brushes, and each one can be sorted into two main categories; natural bristles and synthetic bristles. 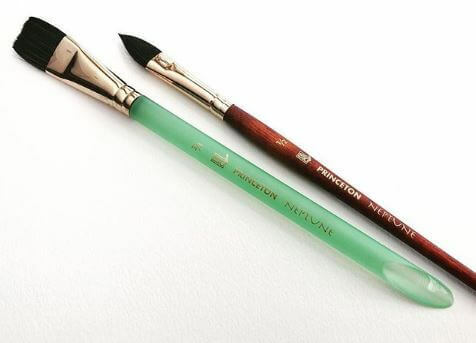 Choosing the right one can be difficult, especially because there is a lot of outdated information out there that leads some artists to write off synthetic brushes too soon. Synthetic brushes got a bad reputation with some of the old masters back when the brushes were still primitive and almost always inferior to their natural-hair counterparts. Things have changed a lot over the last couple of decades, though, and there have been some major improvements in the technology. It used to be that synthetic bristles were stiff, smooth and featureless, lacking the texture and split-ends (called “flags”) that let natural-hair brushes hold onto paint and apply it evenly across a canvas. Nowadays, synthetic brushes can be manufactured with advanced techniques that reproduce those characteristics in each individual bristle. You can even find synthetic bristles that are shaped like specific types of animal hair, complete with textures and flags. Even when synthetic brushes were less advanced, artists often used them when they were on a budget. They’re cheaper to manufacture than natural-hair brushes, making them cheaper to buy. This has remained true even as their performance and design have improved dramatically over the years. 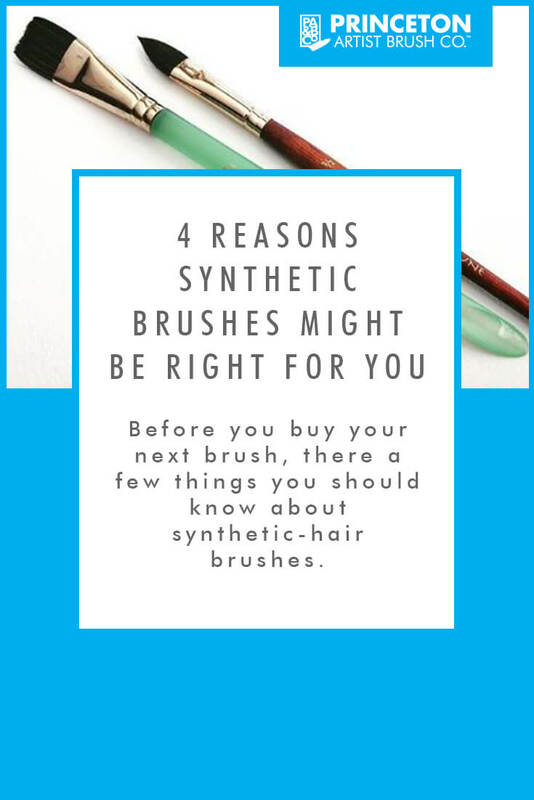 If you’re strapped for cash or planning to buy a wide range of brushes on a budget, you can almost always save some money without sacrificing quality by choosing synthetic. Sharp, defined brush strokes can add a lot of depth and character to a painting – just ask Van Gogh – and the distinct features of natural-hair bristles (or synthetic bristles that reproduce those features) are great for this. But sometimes you want to lay down a section of color without the visible strokes and it can be a frustrating challenge to smooth out the texture left by natural hair. If you’re doing a canvas wash, a plain background, or just trying to create smooth gradients, there are synthetic brushes available that have smooth and sharp edges, which make it a lot easier to hide strokes and create invisible edges with ease. Natural-hair brushes tend to be more delicate than synthetic, often drying out and becoming brittle if they aren’t properly cared for. The bristles can require regular conditioning and are especially sensitive to certain mediums like acrylics. 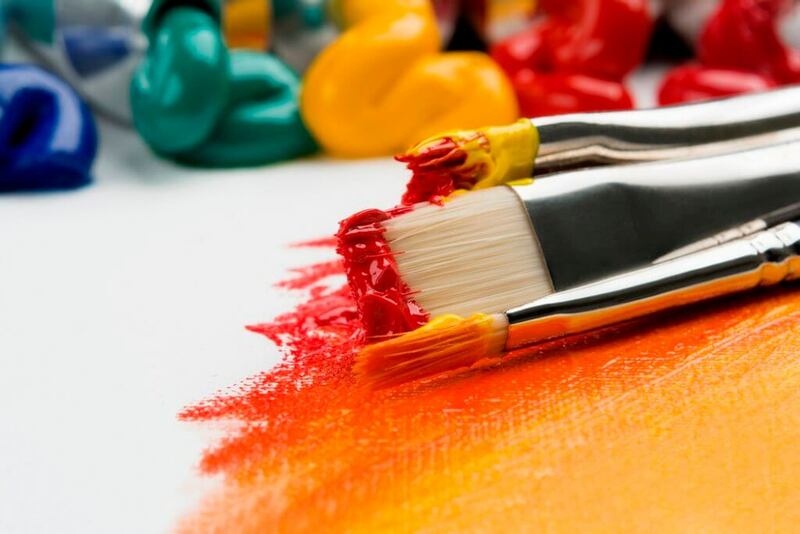 If any paint is accidentally left to dry on a natural brush, it becomes difficult and frustrating to remove. Synthetic bristles tend to be more durable, and don’t require the kind of conditioning that natural brushes often demand. They also tend to be more forgiving if you accidentally let some paint dry among the bristles, holding up to solvents and other cleaning solutions without drying out becoming damaged. This can be an invaluable feature if you already struggle to find time in your day for painting. Less time on clean up means more time creating art. Be sure to keep these 4 points in mind next time you’re brush shopping, and you’ll have a much easier time finding the right tools for the job.